But even so we haven't got to the heart of the matter. 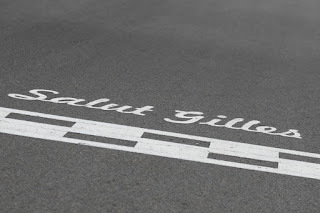 The Circuit Gilles Villeneuve's appeal lays in that it is different. Very much so. The track is squeezed onto a man-made island barely 150 yards across in the Saint Lawrence river and is surrounded immediately by lush parkland dusted with quirky architecture. It also has an exciting, vibrant, international city just a short metro ride away and is one of those places that fully embraces its race. The fans are knowledgeable and plentiful; atmospheres are warm. No doubt also the passing of time and the shifts of the itinerary to the cavernous and clinical has added to Montreal's refreshingly distinct status. Adding to the fun who'll be on top specifically this time is not an easy call in advance. Or perhaps, on one level, it is an easy call. 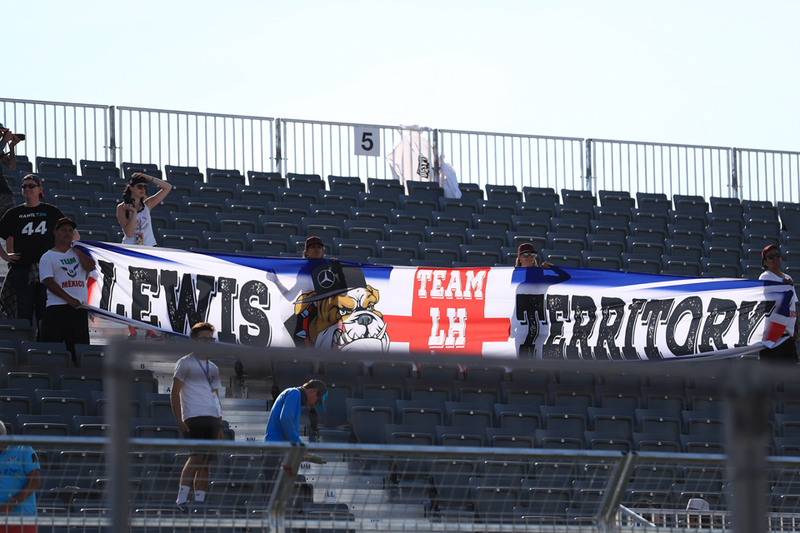 Mercedes flailed in Monaco not for the first time, but it does have an ace up its sleeve for Montreal in the shape of of Lewis Hamilton. He is a local specialist with six wins here including the last three, and the local requirements - bravery on the brakes and hitting your marks through the chicanes - suit him down to the ground. He's had the odd bump here too though and up until 2013 he'd either won or crashed in every Montreal visit. 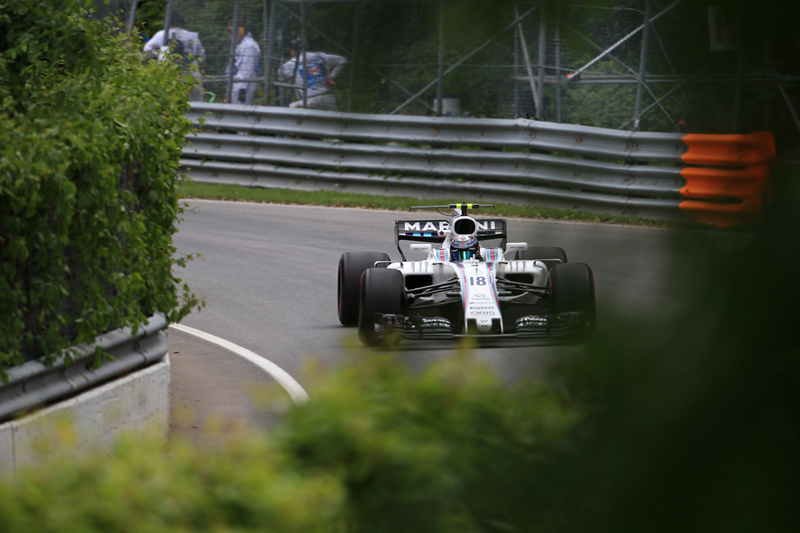 Unlike Monaco too there are straights at Montreal which lets the Merc stretch its legs. Lewis's stable-mate Valtteri Bottas also has a good record at this track and indeed has finished on the podium in his last three visits. He completed a Merc 1-2 here last year but finished a fair way off his team-mate. Yet for Merc it may not be so simple. 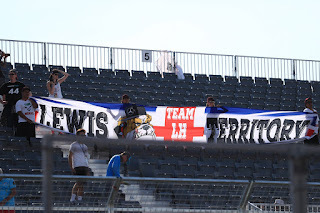 As in Monaco the compounds are one softer than was the case 12 months ago, and with the same softest three compounds as two weeks ago available this time many eyes will be on whether competitors have the same problems as many had notoriously in the Principality. 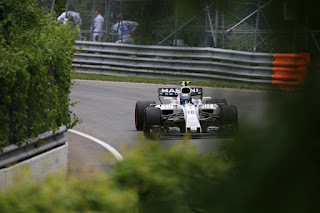 And Mercedes, having struggled especially on the new hyper-soft last time out, is wary and Merc's trackside engineering director Andrew Shovlin has admitted "we do need to get on top of that for Montreal". Mercedes's bugbear of getting its tyres working particularly on low-grip tracks with slow corners, and particularly again when on the softest compounds, is well established and this weekend will feature all of those. Then again if a compound is problematic teams will be much happier to ditch it with an extra pitstop than they were in Monaco given overtaking here is much easier. Though that has a local flipside as Shovlin again noted, "in Montreal if you lose pace, and you're suffering degradation, people will pass you very easily." You wonder too if some, not least Merc, will try to open up strategy options by doing Q2 on the ultra-soft rather than the hyper-soft - Mercedes tried this in Monaco but had to abandon the idea as the pace wasn't there. Red Bull of course is fresh from dominating and winning in Monaco, and again its excellent mechanical grip out of slow speed corners will be rewarded here. 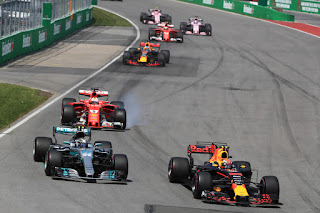 Montreal though is something else to Monaco as we add this time the question of whether Red Bull's Renault unit can keep up with the Mercedes and Ferrari on those straights mentioned. Renault is to bring an upgrade this weekend, though cynics point out it wouldn't be the first time Renault promised more than it delivered. Then again its shortage of grunt makes itself felt more in qualifying and at this track as intimated qualifying means the least of any race on the calendar. As for Max Verstappen he comes to Canada with vultures circulating, what with this 'six crashes in six rounds' in 2018 so far. And for the reasons given Montreal likely isn't the first place he'd choose to drive in such circumstances. Then again he is too good not to right his ship eventually and at Montreal last year he ran second early on before a technical failure. Which leaves Ferrari, which may come into this one with the best combination of low speed grip, tyre handling and straightline speed. Kimi Raikkonen though hasn't had much fun here lately, and indeed hasn't finished in the top three here since 2006. His fingertip style has seemed in recent times ill-suited to the layout which requires more of an agricultural approach. Sebastian Vettel too has only won here once. Ferrari also last year came here with form and with Mercedes having similar tyre worries to now, and in the event Merc clearly left Ferrari behind in qualifying and the race. As for the rest, Force India also tends to go well at this circuit as it's the sort of point and squirt track it adores. 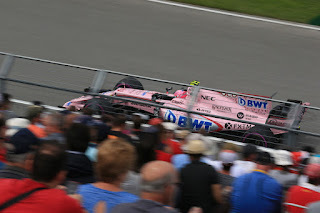 The pair showed up very well here last year - Esteban Ocon ran second for a while and a Force India likely would have been on the podium had its drivers cooperated. Williams like Force India also has a good record here as it does on many of these type of tracks - though it might seem now like something from another age that Felipe Massa qualified seventh here last year while Lance Stroll had a strong race to a couple of points. As noted Bottas bagged a couple of recent podium finishes here for the Grove team while Massa might have won in Canada in 2014. It's not clear though if this year's recalcitrant car is able to make good on it all this time. McLaren might struggle too, as it's tended to be slowest through the speed traps this year - something thought only partly related to its Renault engine. Its former bete noire Honda though in another coming to this one with a much-heralded engine upgrade - the grapevine suggests a 0.3-0.4 second gain - and Toro Rosso has got good results this season on tracks without many fast turns, though again a lot will depend on how much the Honda can shove out on the main straight. 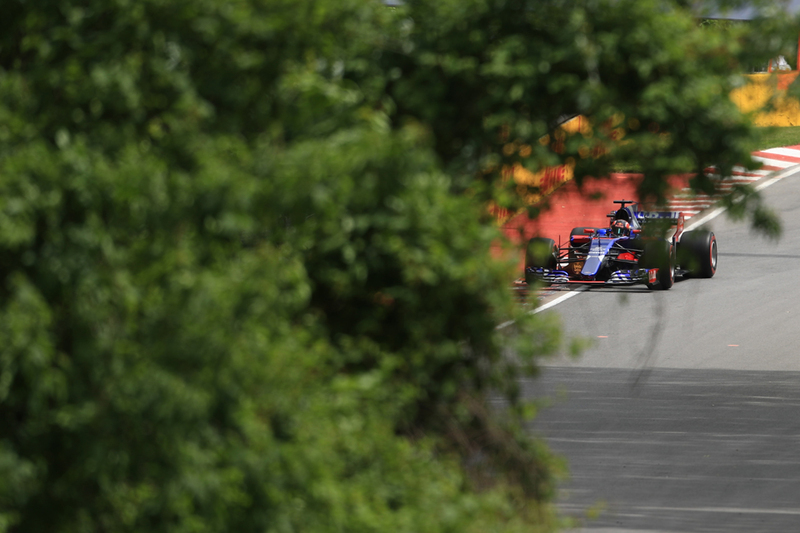 Equally you wonder exactly how much Toro Rosso actually understands its performance fluctuations between circuits. What can the new Honda engine do? Strategy considerations at Montreal have an appropriate corkscrew quality. The short pit lane (the loss time of 18 seconds is about the lowest of the year) and relative ease of overtaking ordinarily prioritises a fast and therefore multi-stop approach. Then again as in Monaco tyre wear is low here, albeit not as low as in the Principality, due to a smooth surface and absence of quick corners. One-stoppers were the default here last year - Hamilton did as many as 32 of the total 70 laps on the ultra-softs that he qualified on while Daniil Kvyat managed 53 tours on that compound. Ocon had (potential) joy last year from an offset strategy. The frequency of safety cars at this circuit (at around 60%) means you have to be flexible in response to circumstance. Yet also reacting too eagerly can backfire - see Vettel losing a win here in 2016 after pitting early under a Virtual Safety Car (then again last year, perhaps stung, Ferrari missed an opportunity to pit under a safety car and Virtual Safety Car with both cars which cost better results). 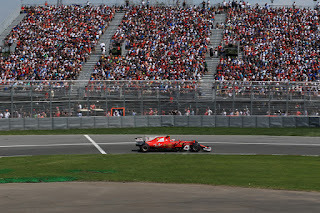 Track position isn't to be disregarded either, seen with Raikkonen last year losing out on places after making an extra stop, while in 2015 there hardly seemed an overtake in the entire race. The delta to pass here is around one second per lap - short compared with many tracks but not a slam dunk. Further varying matters is that this place has long had a reputation as a car breaker - tough on brakes, gearboxes and these days energy recovery systems - and is especially prone to this if temperatures pick up. 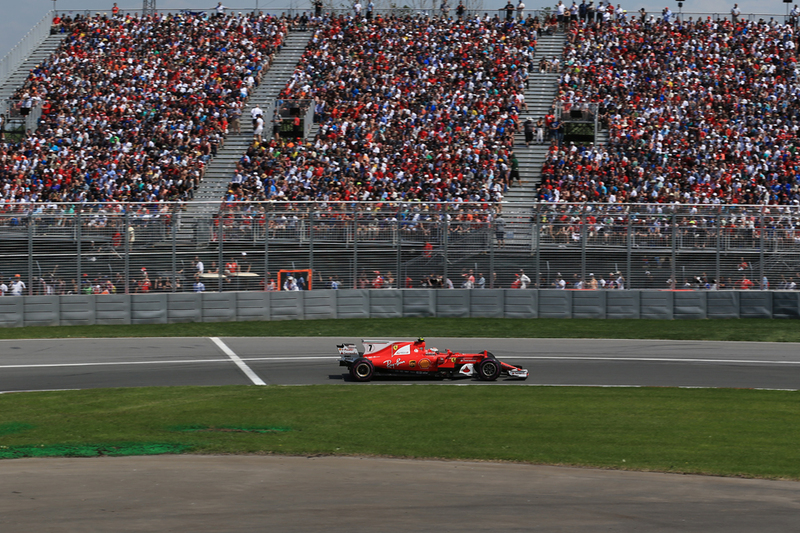 While on the subject of the weather that is another part of Montreal's celebrity, appropriately it varies more than at any other modern day venue and the range from hot and sunny to cool and wet can be witnessed within the same race weekend. Or even the same day. Temperature also impacts tyre life and therefore strategy. While if rain arrives then all bets are off - the 2011 race showed us this. Long range forecasts suggest none will hit this weekend though. 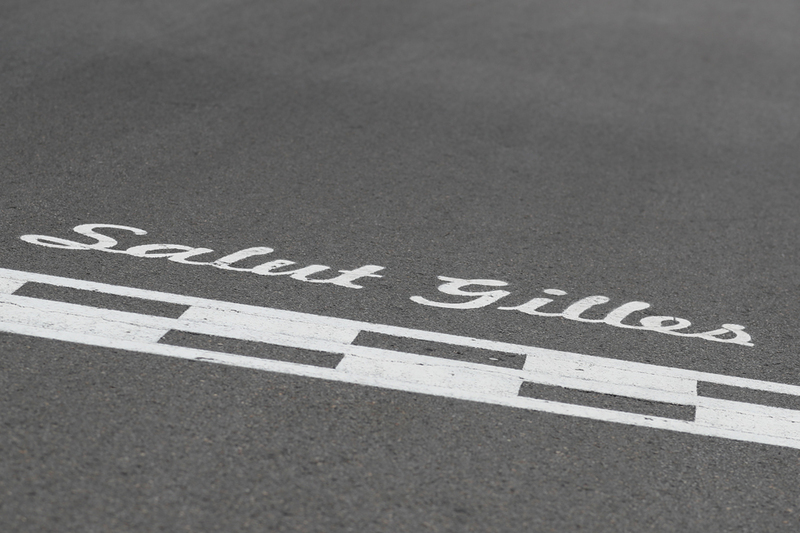 Add to this that Montreal is not a permanent circuit, meaning tarmac rubbers in rapidly as the weekend goes on and it can conspire to give participants a bum steer early in the weekend on tyres and set-up. Losing track time to rain can therefore be particularly regrettable. But for the rest of us there is very little regrettable about our annual gathering in Montreal.